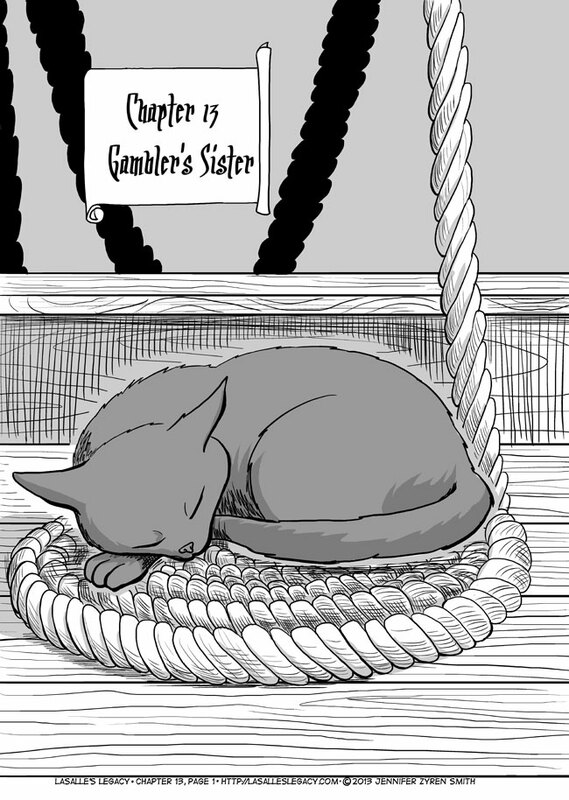 I was going to have a one-page comic with detailed backgrounds and stuff, but that didn’t work out so well so you get Gunpowder napping on deck instead. I am on vacation! Hopefully I’m having a good time. XD Hope you guys are doing well too!